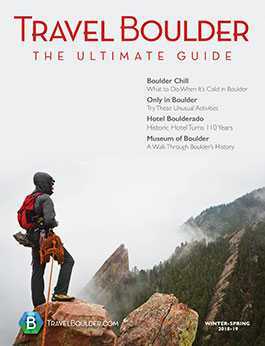 Treat yourself to a refreshingly uncommon downtown Boulder hotel destination, where luxury and comfort come naturally. At St Julien Hotel & Spa, world-class accommodations and service balance perfectly – melding nature and nurture, simplicity and style, relaxation and renewal. St Julien sets itself apart from other Boulder, Colorado hotels as an oasis of tranquility – offering inspired views of the Flatiron Mountains, and doorstep access to the famous Pearl Street Mall. Enjoy a new sense of style and sensibility inside this casually elegant luxury hotel in Boulder, Colorado. Located in the heart of Boulder's historic downtown, St Julien Hotel & Spa is within walking distance of more than 200 shops and 80 restaurants, just steps from the historic Pearl Street Mall, the beautiful University of Colorado campus, miles of hiking and biking paths and numerous entertainment options.